The Comtorgage Corporation is a metal fabricator and manufacturer of bore gages located in Richmond, USA. The company is staffed by a large number of people who are all dedicated towards ensuring that they always push the boundaries of innovation during the design and manufacturing for the precision tools. This means that the customer always ends up with precision equipment that has been built to the limits of the most recent technology. Due to this fact, the Comtorgage Corporation has a large following. 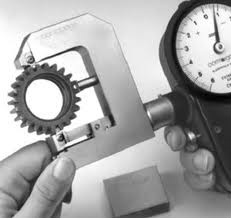 The goal of Willrich Precision is to ensure that when you buy any precision instruments from us, you will be sure that not only will they last very long, but they will also retain their accuracy exceptionally well too. Our company has been in operation for more than 4 years, and has during this time acquired many loyal individual and corporate customers. This is testament to the fact that we do all we can to ensure that their experiences in our online store are very good, and that the products they buy will surpass their requirements. If you are in the market for high quality bore gages, feel free to browse through our inventory for Comtorgage bore gages. You can be assured that you will be spoilt for choice, and that what you buy will turn out to offer very good value for money.